There are always fascinating things happening in the world, so we shall link to some of them with a bit of my commentary included. 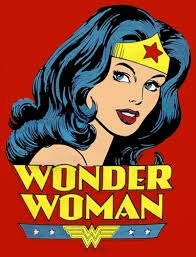 This article about the history of Wonder Woman, feminism, and equality between the sexes is a fascinating read. It's a bit lengthy but tells more about Wonder Woman in a span of some paragraphs than other books I've read about the character have been able to. I've been renting for the PS3 (thank you Redbox!) what is arguably the biggest game release of the year, "Destiny." I've enjoyed it, but at the same time felt weirdly let-down despite wanting to keep playing. Various reviews have expressed the same opinion, but this article of thoughts summarizes things amazingly. I can't help myself--clearly--which is why I did another post about open carry and gun control that got a lot of views, was linked to by angry open carry groups, and received attention but interestingly less comments. 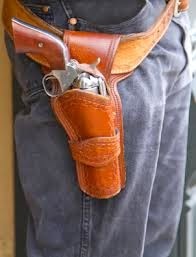 I sometimes wonder how proponents of Open Carry can twist reality to fit their perception, and this article does a good job explaining the secret. Namely, just refuse to accept reality. Alan Moore will be writing a comic set in the Avatar Press' "Crossed" universe, but 100 years after all the initial mayhem, as this article announces. For those who don't know, "Crossed" is about a mystery virus/plague that reduces people to near-mindless monsters that kill and violate anything they can. It started some years ago under the pen of Garth Ennis and has expanded into various mini-series and ongoing-series. I like a variety of his work and am intrigued to witness how Moore will script what is basically a post-post-apocalypse tale set in such a demented world. Regardless of if the comic turns out great or horrible, it will without a doubt be interesting. People have started intentionally breeding cats with a genetic disorder that gives them weirdly scraggly fur, kind of like a wolf--hence their nickname of, "Werewolf cats." 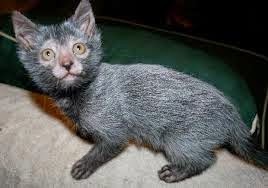 Known as the new breed, Lykoi, this article goes into a discussion about the complex ethics of how selective breeding of our pets has resulted in animals that may look neat, but are by no means healthy. Basically, we've hi-jacked evolution and instead of natural selection we are getting breeder-selection. I was most struck at the end of the article when it pointed out we get upset about genetically-modified foods, but have been doing it to our animal compatriots for a great deal of history. Scotland may separate from the UK and become its own entirely independent country. It will be interesting to see what happens, and one could indeed wonder how this could impact the U.S. and other nations, as this article discusses. Lastly, you may have heard the relatively under-reported news (I'm being silly, in case you can't tell) about how the iPhone 6 will be coming out soon in two versions, a big one and an even bigger one. I actually like the size of my 4S a great deal and think I'll take advantage of how the iPhone 5S should be cheaper with this new version coming out. A slightly larger 5S sounds better than a huge 6 or 6 Plus (as I believe the gigantic one is called). This article says how the new phones are a big deal, but I'll just be happy with an iPhone that actually fit easily in my pocket.